DSM Brokers Avery Dennison & Premier League Deal — Digital Sports MGMT. 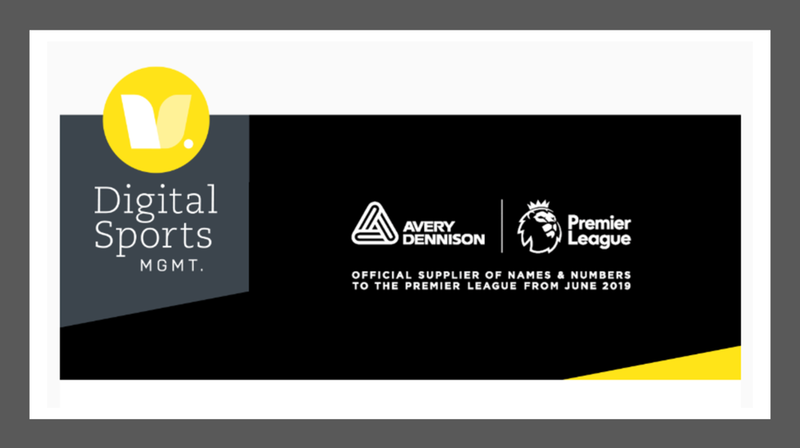 Following last week’s announcement by Avery Dennison that it had signed a three year deal with The Premier League to become the “official supplier of names, numbers and sleeve patches” for the 2019-20 season, Digital Sports Mgmt (DSM) can announce that it worked with Avery Dennison to broker the deal between the two parties, advising Avery Dennison on commercial and strategic aspects throughout the tender process. Digital Sports Mgmt provided advice and guidance in the Fortune 500(R)* company’s successful bid, and is now retained for the duration of the licence as Avery Dennison’s commercial sports agency. After working with the Premier League and Premier League clubs for many years, DSM was able to utilise its relationships and experience to provide Avery Dennison with key insights and strategic guidance to successfully navigate the tender process. Global Director of Team Sports at Avery Dennison RBIS, Nikita Jayasuriya said: "DSM's relationships and insights into the commercial workings of the football industry proved invaluable to Avery Dennison during the tender process.. Building on the success of securing the Premier League license, we will continue to partner closely with DSM over the next three years as we look at additional ways to grow our business". Following the successful tender, DSM was instructed by Avery Dennison to help launch the partnership with the Premier League. DSM created a compelling launch strategy, including content highlighting the unique features of the company and its sustainable factory in Norway, plus a PR strategy to announce Avery Dennison as the new official supplier of names, numbers and sleeve patches. DSM is a boutique Sports Marketing Agency based in London, founded in 2016, the agency’s founders have over 20 year’s experience working in Sports and Video Games sectors. In addition to sponsorship brokerage and activation services, DSM also represents a large number of influencers and esports stars. DSM: Connect Your Brand To World Sport. Check out the announce video content below and read more about the announce here.